I was at TransportationCamp Philly last week, and it was a blast. If you haven’t been to one of these “unconferences” before, I strongly recommend it – it’s a great way to meet other people interested in transportation and talk about some fascinating things. Here’s their website if you’re interested. In particular, TransportationCamp New England will be on April 27th at MIT. Unfortunately, I won’t be able to make it. Why, you ask? Well, it’s a matter of inclusion – I was talking to some people who were upset by the fact that New England gets lumped into only one TranspoCamp. 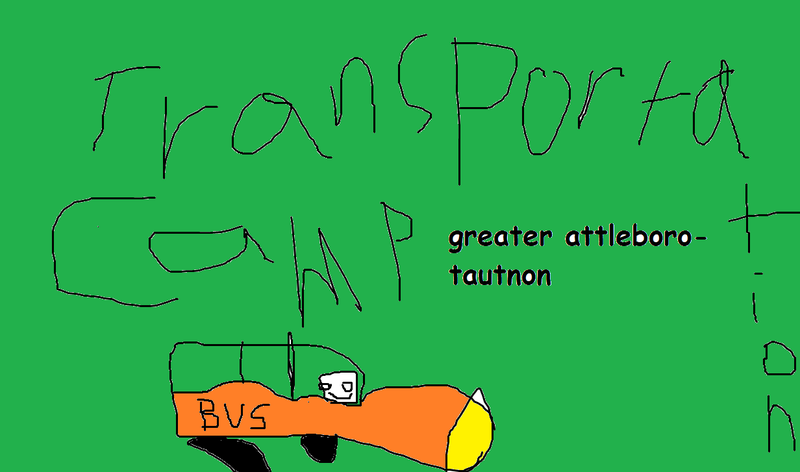 Thus, after some back and forth with various parties and sponsors, I am pleased to announce TransportationCamp Greater Attleboro-Taunton! TCGAT will take place at the Middleborough Council on Aging, which is easily accessible using GATRA’s Middleborough-Taunton Connection route. GATRA has agreed to run a special Saturday service on the normally three-days-a-week bus, but remember that you still must call at least 24 hours in advance in order to secure a ride! Buses will run at very high frequencies, with service at 11 AM, 1 PM, and 3 PM. The event will begin tardily sometime around 11:30. There will be one three-hour session, and the event will be over at 2:30. However, stick around afterward for the Early Bird Special at the Middleborough Dairy Queen, where the fun will continue over inexpensive food! Tickets will cost $20 ($0.50 for seniors) and will be available for purchase by sending a letter to GATRA’s headquarters in Taunton with a self-addressed and stamped envelope, along with a check made out to “TCGAT”. They go on sale today, April 1st, which is definitely not a suspicious day for these tickets to go on sale. Hope to see you all there! Poster designed by Alison Gromley, who says her Digital Drawing class at the Raynham Senior Center is going great! So I guess this means you WILL go to Transportation Camp NE? And have a session about GATRA? Oh. We’ll miss you! Also, how much time did you spend on the drawing to make it just perfect?